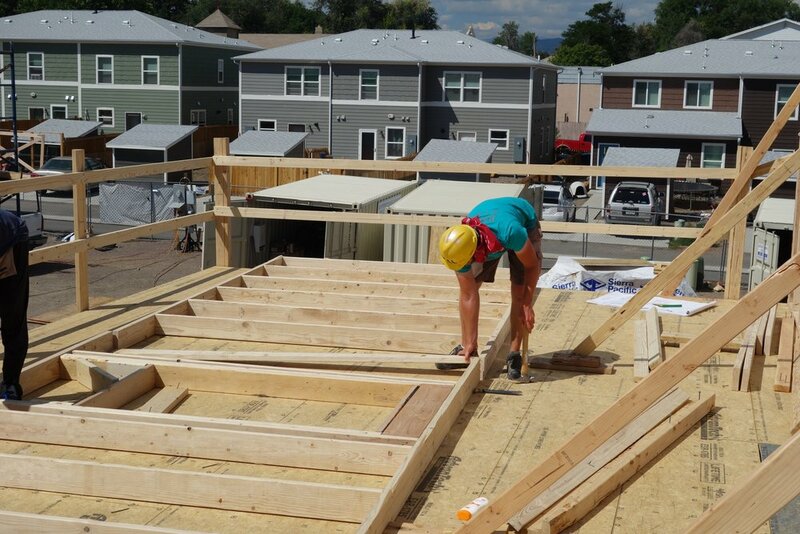 On Saturday, August 26 2017, close to 20 young professionals from the Denver area joined together for this year’s Emerging Leader’s Build, put together by Denver Habitat for Humanity’s Young Professional group. In addition to their volunteered time, participants were charged with raising $500 each for the event. This year’s event focused on three of the 12 under construction houses in the Sheridan Square Community. The group is proud to have raised multiple walls, no small feat for one day of work! 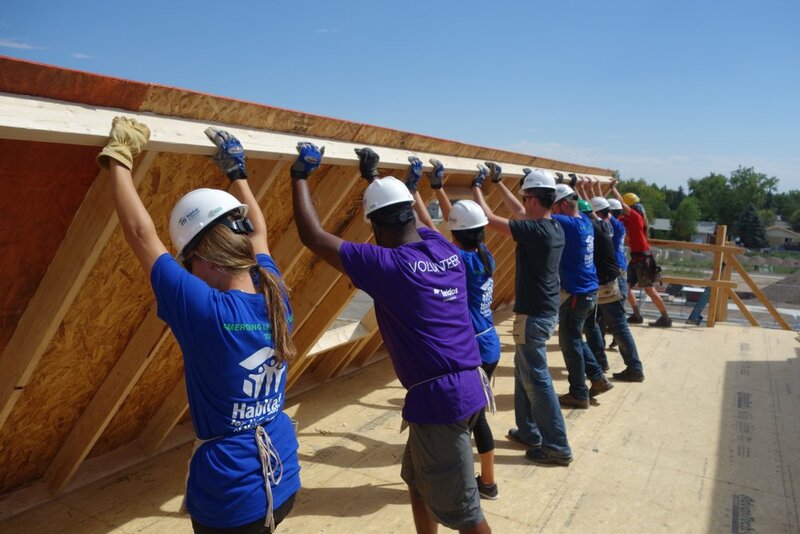 Sheridan Square is the largest development in the history of Habitat for Humanity of Metro Denver, made possible thanks to the 2,900 volunteers working more than 19,420 hours to make these homes a reality. Our very own Mitch Hanson had a great time representing the company and working up a sweat swinging a hammer instead of sending out emails.